Many farmers are still working on their autumn harvest before the first snowfall of the year hits. Here and out east, breweries are showing off this year’s grain crops as part of the beers they brew. 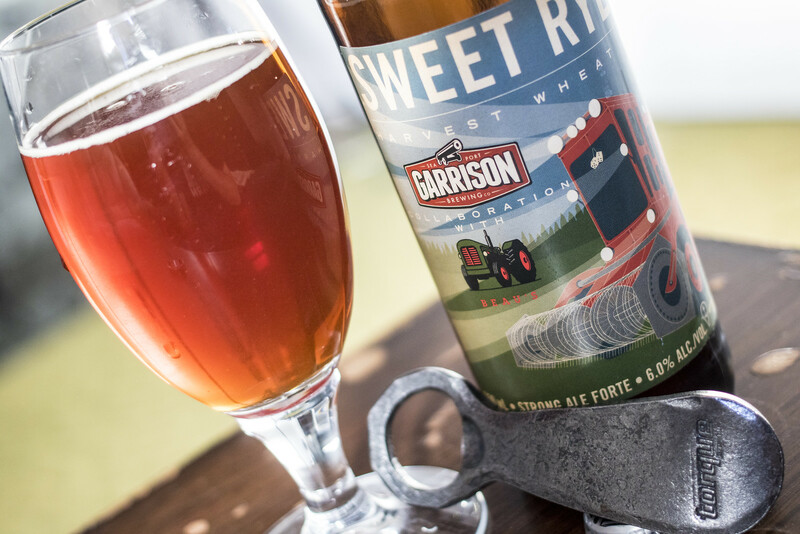 In 2014, Garrison Brewing out of Halifax has teamed up with Canada’s most popular organic brewery, Beau’s All Natural Brewing out of Vankleek Hill, Ontario to create a sweet ale using fresh malted rye, wheat and Munich barley to celebrate the prosperous harvest season. This autumn the breweries decided to bring the beer, Sweet Rye’d Harvest Wheat Ale back for beer drinkers, and for the first time in Manitoba. 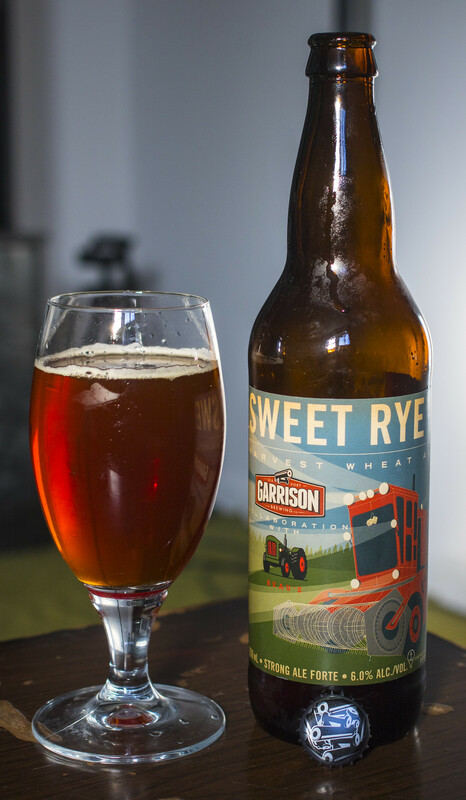 Sweet Rye’d, a pun on “Sweet Ride” because of the farm machinery used on the label, is described as a tasty copper-coloured harvest ale brewed with rye wheat malts, a good dose of floral and bog from Beau’s All Natural Brewing. Tops out at 6.0% ABV. Since the folks over at Beau’s are big fans of Torque Brewing, I carefully opened up this beer with my cast iron Torque bottle opener! The first impressions I got from the beer was that it was a heavy copper brown ale with a moderate amount of cloudiness to it, some sediment, minimal carbonation and a light amount of beige head sticking to the side of the glassware. When I got the beer, all I saw on the label was “Sweet Rye’d” so I expected it to be a full on rye ale (which I love) rather than a medley of rye, wheat and barley so my expectations weren’t what I expected. The aroma has a very grainy vibe with notes of rye to give it a bit of a bit of earthiness and bite, the wheat and barley give it a hint of grain bin aroma to it - though just slightly, notes of caramel and a hint of grapefruit from the hops to give it just a presence of bitterness. The taste is pretty rye forward so I’m back to what I was hoping for in a rye ale, the flavours are an earthy, gritty rye flavour, followed by a moderate grapefruit flavour from the hops, a hint of pear, caramel and a light metallic/apple aftertaste. For those Beau’s fans out there, they just released their annual Oktoberfest mix packs! Their mix packs contain four 600mL bottles containing their Vienna Style Lager, Return of the Mumme Ale, Ginger Wolf and One Ping Only Porter. It costs $29.95 and is available at the South End and 10th & Victoria Liquor Marts.